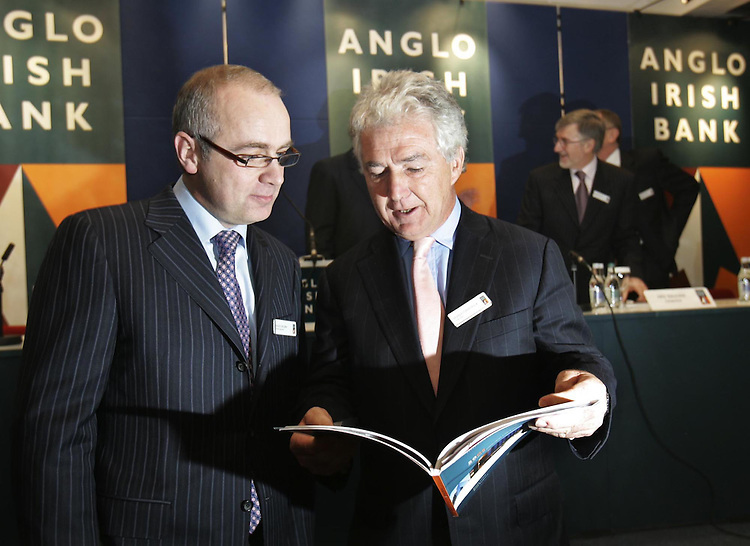 David Drumm, Group Chief Executive Officer (left) and Sean Fitzpatrick. Chairman of Anglo Irish Bank Plc., pictured here at the companies Annual General Meeting held in the Conrad Hotel, Dublin. pic. Robbie Reynolds.